There are cases where you’ll have a csv and need to do a for-each on each of the tokens. 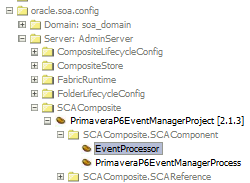 Now, you’ll see all the deployments in the EM soa-infra tree, as well as you’ll be able to open the project. There are cases where a BPEL assign activity on a variable may fail(Selection Failure) after a XSLtransform activity on the same variable. Reason is that a transform activity doesn’t create empty tags if the value is null. Hence, the variable will be updated with some missing tags(for null values) after transformation, and when you try to assign to such a tag, you will get an error. Inorder to overcome this, if you feel you may get null values for a particular tag which you may want to assign later, then use an if condition to set it to empty text if the value is null. In such cases, the tag is created with empty value, so you can use it for assigning later. 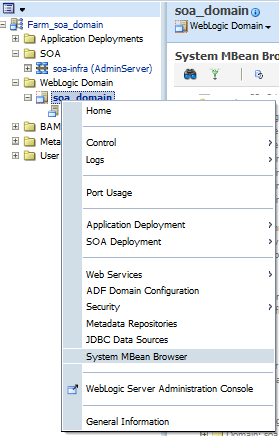 Often people are confused that Oracle Enterprise Plugin for Eclipse (OEPE) is the plugin for OSB on eclipse. But OEPE is actually a plugin to eclipse that supports development of technologies like J2EE, Spring, ORM, etc. on weblogic, but defenetely not OSB. OSB IDE actually comes as part of the OSB installer. While installing Oracle Service Bus, one of the steps will be to provide Middleware Home & OEPE Home. Hope this helps resolve the confusion over OSB IDE and OEPE. Often you’ll have scenarios where you’ll need to change/setup certain values at runtime. For ex, adminEmailAddress. During dev, usually the developer would use his mailId but when deployed in production, the admin has to be assigned. How is this addressed? 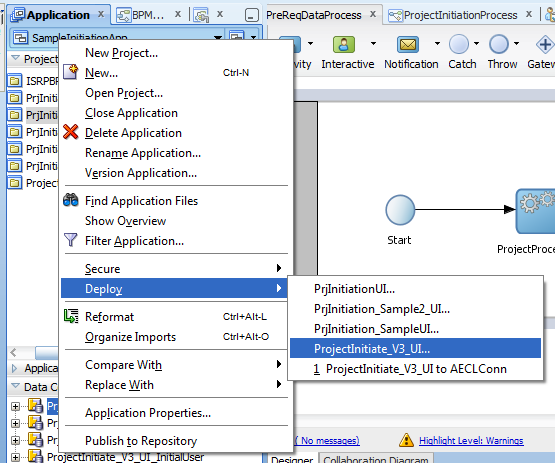 Note that bolded bpel.preference should not be changed. You’ll see the property adminEmailAddress, where you can replace whatever value you want. Reason being the .war file that you are trying to deploy does not contain the whole lot of classes required. You make .ear file instead which has all the resources required.